In 3-quart saucepan, mash 1 can of the beans with fork or potato masher. Stir in remaining can of beans and remaining ingredients. 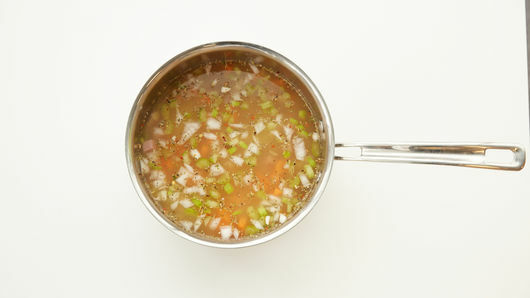 Heat to boiling; reduce heat to low, and simmer 25 to 30 minutes or until vegetables are tender. Try using chopped cooked chicken in place of the ham. One teaspoon Italian seasoning can be substituted for the Tuscan seasoning. Haven’t heard of navy beans? Navy beans are a small, dry white beans that have an oval shape, and are typically smaller than other white beans like cannellini beans or Great Northern beans. These small beans got coined “navy beans” because they were a staple food in the United States Navy in the early 1900s. Navy beans are high in fiber and have a mild flavor. 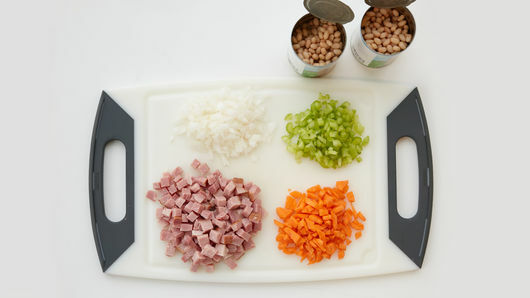 They are perfect for making baked beans or creamy soups, like this Easy Ham and Navy Bean Soup recipe. Though you should use the bean your recipe indicates, most white beans can be used interchangeably—but there may be a bit of a variation in the dish’s texture and flavor. 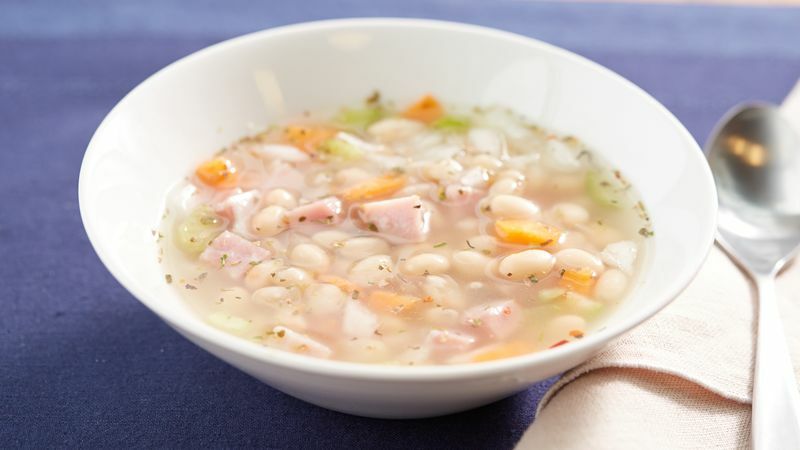 Navy beans pair perfectly with ham in this soup. Craving other soups made with ham? From split pea to ham bone soup, we have a whole bunch for you to choose from. Once you’ve mastered this soup recipe, find new ways to make it even better by reading this article.